Middleweight contender Glen Tapia has revealed one of those stories that you have to read twice in boxing. A heartwarming tale on Manny Pacquiao. Glen Tapia, a 27 year old New Jersey native, is well known to those in boxing circles but for those who don’t know him – he is a professional middleweight fighter with a record of 23-4-15KO. His four losses have only ever been to credible opposition however against the likes of James Kirkland, Michel Soro, David Lemieux and most recently, Ireland’s Jason Quigley. 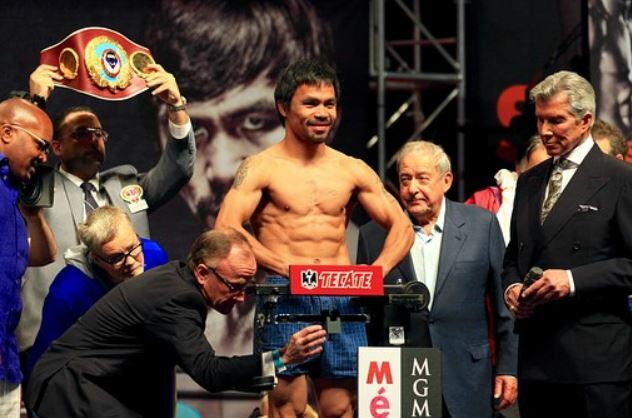 Manny Pacquiao is famous for his kindness in his home country with tales of frequent generous donations to his people since achieving success in his boxing career. But not many realize there’s an awful lot that Pacquiao has done that people don’t even know about. As often the case with the best people in life, who often like to keep it to themselves when doing random acts of kindness not for praise or fame, but out of the genuine goodness of their heart. “I was 19 and just finished coming back from the Philippines after being there for like 7 weeks to be Manny Pacquiao sparring partner. Last week there he heard me and Freddie Roach talking about my fight and told me he was gonna give me a bonus if I win. I laughed and said thank you. He thought that I didn’t really believe him so he made me get in the ring, shake his hand and told everyone that was there that he was gonna give me a bonus lol Fought a week later, got hit with an elbow in the second round that broke my jaw. Ya already know that there’s no quit in my blood so I fought the rest of the fight with the broken jaw, almost knocked him out in the last round and got the W.